epwmap is an interactive map for EPW weather files. The ECBC App is a handy mobile/tablet application for building energy professionals. Track, compare, target and evaluate the energy efficiency performance of your estate with advanced weather analytics and comparison benchmarking. Energy analysis program used to determine the compliance of a building to Canada's Model National Energy Code for Buildings (MNECB) 1997. Parametric analysis is often used for exploring design options and identifying the relationship between design parameters and performance. 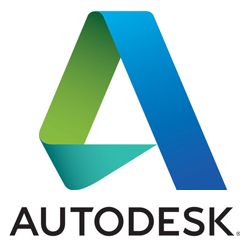 Green Building Studio® (GBS) is Autodesk’s core whole building energy simulation engine, and powers the energy analysis for Autodesk Insight 360, Autodesk Revit, and Autodesk FormIt 360. Lesosai allows the calculation of environmental impacts of the energy consumption, taking into account the energy used in the building, but also the building's construction materials (Life Cycle Impacts Analysis / Environmental Assessment). The OnGrid Tool helps PV solar energy companies create effective finanical presentations for their prospects. Ladybug is a free and open source environmental plugin for Grasshopper to help designers create an environmentally-conscious architectural design. eQUEST® is a widely used, time-proven whole building energy performance design tool. Meteonorm is a climate database delivering typical meteorological years for any site. Energy Model Quality Check tool takes the Energy simulation software input and output files as input and generates instant reports on energy model quality of the building as per ASHRAE 90.1 Appendix G standards. EnergyPeriscope is designed to speed up and enhance the sales process. Easily crunch the numbers, generate professional sales proposal materials, and manage your sales activities. Model and quote: PV, solar thermal, energy storage, energy efficiency, wind turbines. A program to help consumers and builders pick the most energy-efficient and cost-effective window for a given application. Euclid is a free and open-source extension for SketchUp that makes it easy to create and modify the geometry inputs for building energy models. gEnergy brings building simulation to the cloud, using all the features of EnergyPlus on the web, accessible any time, any where. TRNSYS - a component based transient simulation package.